Find hotel near Le Petit Train Touristiqu .. The Arles equivalent to an open-top bus, the Le Petit Train Touristique d’Arles is the easiest and fun way to know your way around the city. One can simply walk around Arles to explore it, but the touristy little train is useful on rainy days when exploring becomes fun under a cover. The train takes you around all the main attractions of Arles. The guide is friendly and knowledgeable and gives you interesting pieces of information. It is a lovely tour on the train which takes you on a journey showing alleys, shops, monuments, restaurants and other sites. The Le Petit Train Touristique d’Arles is fun, charming, and informative with its courteous driver and multilingual guide. The train runs from Easter to October. 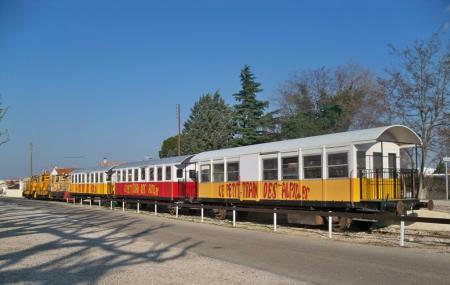 How popular is Le Petit Train Touristique D'arles? People normally club together Musee Reattu and Amphitheatre D'arles while planning their visit to Le Petit Train Touristique D'arles.